The New Order has a long history of engaging in the art of diplomacy. We use force if necessary, but we prefer to resolve conflict through nonviolent means. 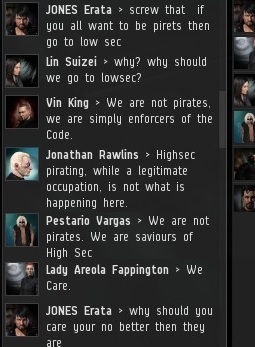 A group of Knights de-shipped a miner who had been caught mining without a permit in highsec. 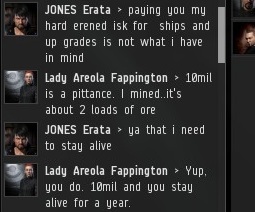 Occasionally such miners will, after returning to keyboard, convo one of the gankers. 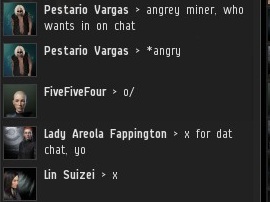 Agent Pestario Vargas received a convo from an upset miner and invited his fellow gankers to join in. 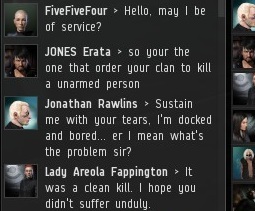 JONES Erata showed no remorse for the crimes that lead to his death. We engaged in a debate about whether his mining vessel's combat drones constituted "arms". My own view is, they're called "combat" drones for a reason. You can even try to suicide gank someone with them, though it's usually not a good idea. JONES couldn't argue; his ship had been armed. But he felt, like so many other miners do, that non-consensual PvP simply doesn't belong in highsec. We offered him the chance to purchase a permit, but he was reluctant. 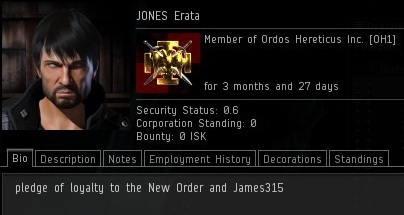 Ten million isk is a pretty big deal to a two year-old character, it seems. While that discussion was still going on, our Knights continued to perform ganks. 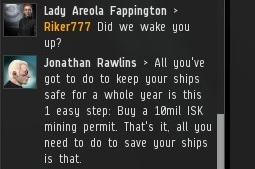 Riker777 was also caught mining without a permit. 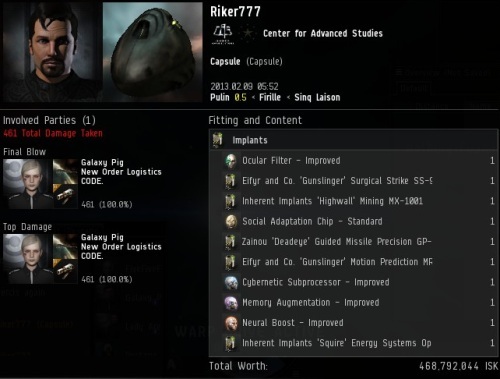 He paid for his crimes with the loss of his Mackinaw and nearly half a billion isk in implants. 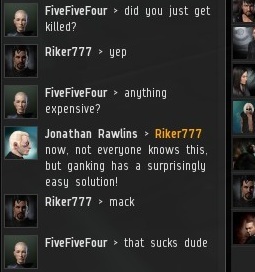 Using an alt that wasn't on the killmail, I invited Riker777 to join the convo with JONES. Maybe we could sort out two misunderstandings at once. Riker777 shared his story about being ganked by Knights--the very same Knights who were in the convo with him. He confessed to AFK mining. Rather than attempt to defend his indefensible actions, Riker777 departed the chat when he realized what was going on. JONES was perplexed by Riker777's unexplained appearance and subsequent departure, but he didn't let that get in the way of negotiations. In the end, everything worked out. Chatter and antimatter, both keys to victory! I fly with no drones and therefore cannot be justly attacked by the new order. If you're stealing from New Order space by mining without a New Order permit, that is an act of aggression that flags you to the New Order.